It is the age of cloud computing and almost every developed nation has joined in this revolution. Cloud computing is an innovative, cheap and safe way to store your important data and applications. Hence, it has become a popular choice for many. However, it is not the same case in Canada, which is to some extent far behind the race of jumping into the world of cloud computing. It might be shocking to many people, but Canada has turned in to a digital third world country. The news came as a shock to many when the Canadian Cloud Council arranged for a discussion event in Ottawa, Ontario. The event was organized with a view to come up with ideas to accelerate the adoption of cloud computing in Canada. 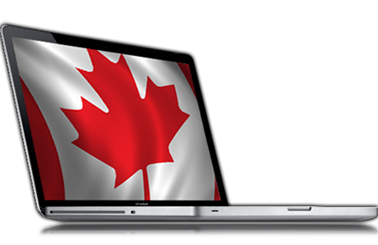 It also promotes the proliferation of Canadian cloud centric products and services. A number of local and foreign IT experts took part in this event to identify the reason and find a solution for laid back adoption of cloud computing in this nation. The main reason behind the slow adoption of cloud computing in Canada is the poor IT infrastructure. Hurdles such as duopolies, bandwidth caps and mediocre Internet connections are the reasons why people do not want to switch to cloud computing. In cloud computing, you need a super fast connection to access your files and also work on them. Problems with your connection? You will have lots of problems when all your work is stored in a cloud server far away from your city. The local market and regulations are also not supporting factors for cloud computing in Canada. Due to vast geographies and a limited population base, it has turned into a concentrated market controlled by a few ISPs. There is also a strict entry bar for foreign investment in wireless and broadband services. In combination, they have made Canada one of the most restrictive and unfriendly markets for cloud computing. Canada is falling behind the race even though it has a potential to become a leader in technology and innovation. However, common users and cloud advocates are optimistic that all concerned stakeholders, including policy makers and government, will take the necessary measures to resolve this issue very soon. Is your business ready to adapt cloud technologies? We are here to help you with the answers you need to make an informed decision. Speak with our team of cloud professionals today.